The recipe is from America's Test Kitchen Best Ever Recipes December 2010 edition. And if you haven't noticed already, I am a huge fan of ATK. Usually I avoid making cupcakes. 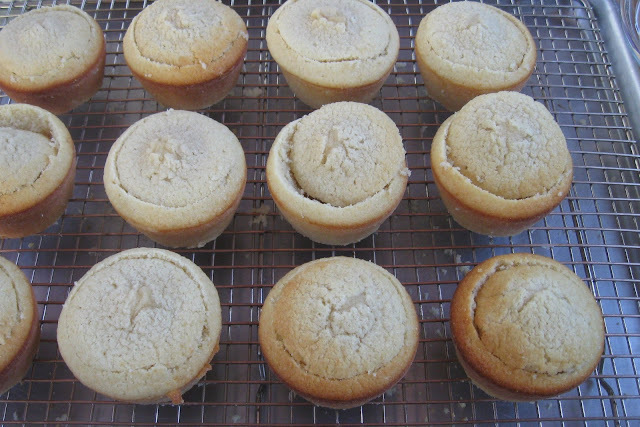 I hate cleaning the muffin tin. 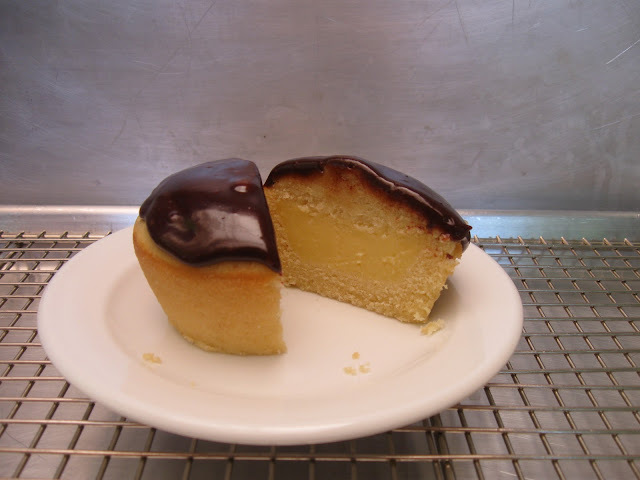 Really - I do - and that really is the only reason I avoid cupcakes - but my husband wanted Boston Cream Pie for his birthday and of course - I couldn't just make the normal cake. 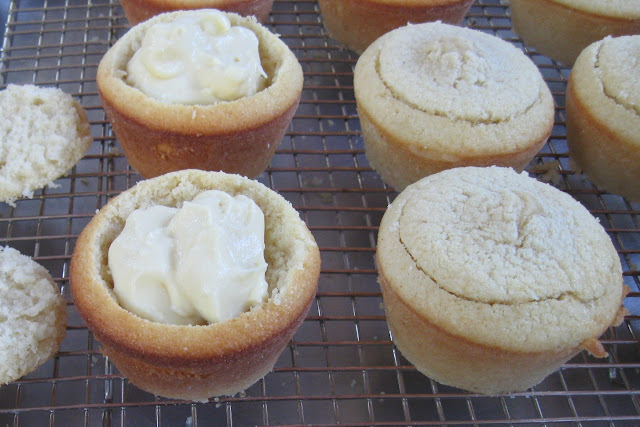 I remembered seeing this in the magazine and decided I needed to reacquaint myself with my old muffin tin and give it a go. The result? (Besides a very happy husband?) 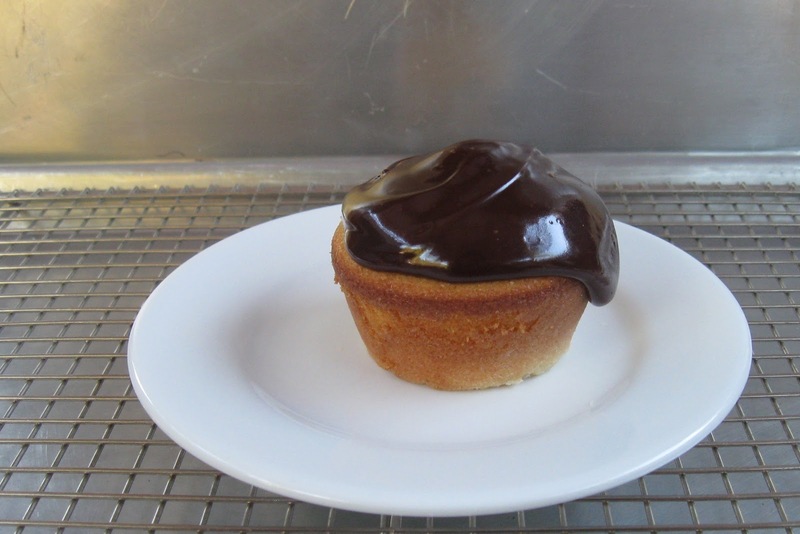 was one perfect little serving of moist cake, luscious cream and rich dark chocolate. Bake the cupcakes without liners in a greased and floured muffin tin - it really works and gives you a lovely presentation. 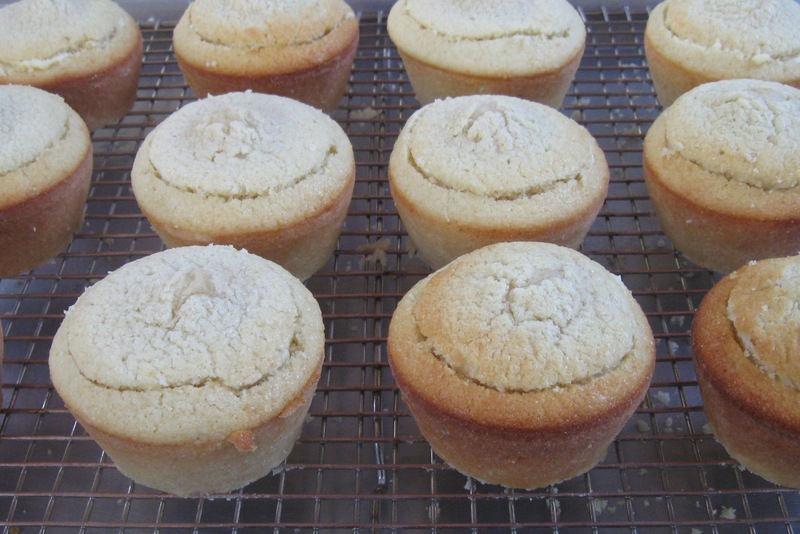 Use a hand held mixer - it really does make a difference in the texture of the cakes. 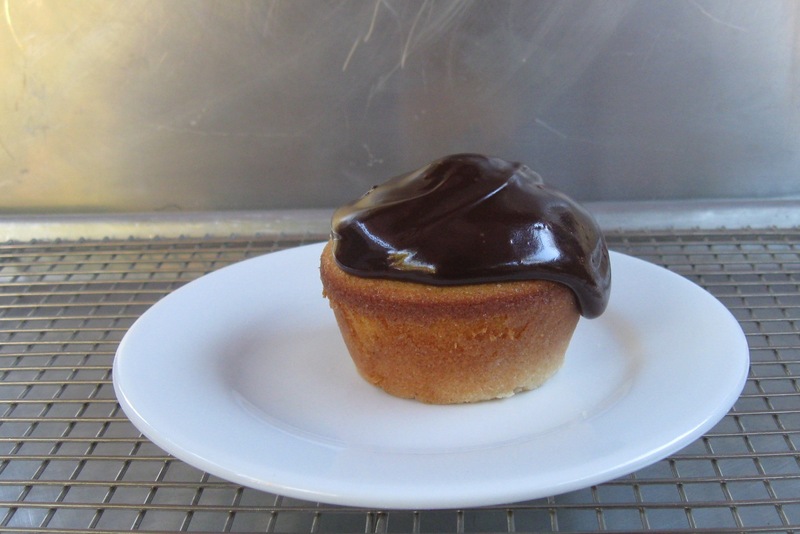 The pastry cream and the chocolate ganache can be made a day in advance. I pull everything out of the fridge the morning of my event and let it all come to room temperature before trying to fill and dress the cupcakes. Do not glaze the cupcakes with the chocolate ganache until right before serving. About the glaze - I put a couple tablespoons in a small bowl and microwave it for a few seconds to ensure I get the "run down the side of the cupcake" effect. Save the little cake pieces - I usually put them in a bowl and after serving the cupcakes I place the bowl of leftover pieces and any leftover cream and chocolate and just let everybody have at it! Great fun to watch! Have some wipees ready nearby. Bring the cream to a simmer - stirring occasionally. In a separate bowl whisk the yolks, sugar and salt together - add the cornstarch and whisk until the mixture is pale yellow. When the cream reaches a full simmer slowly whisk the cream into the egg mixture. Return all of it to the pan and cook over medium heat until all is thick and glossy - about 2 more minutes. Off the heat whisk in the butter and vanilla. Transfer to a small bowl - cover with plastic wrap pressed lightly against the top of the cream - refrigerate until needed. 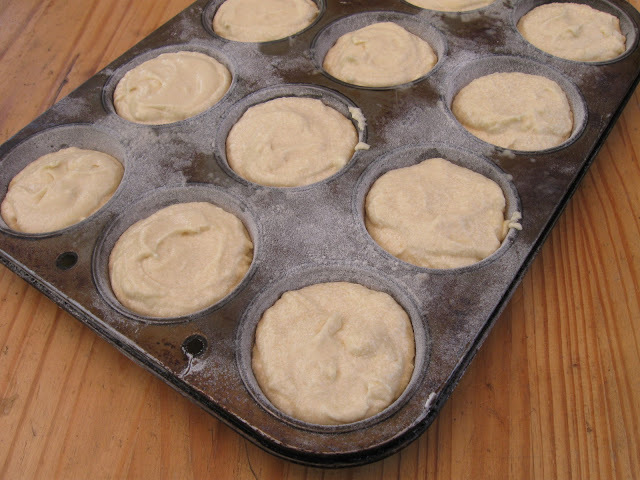 Generously grease and flour the muffin tin. Using a hand held mixer combine the flour, baking powder, salt and sugar on low speed. Add the butter 1 piece at a time. Add milk and vanilla - increase speed and mix until light and fluffy. Bake about 18 minutes - or until a toothpick comes out clean. 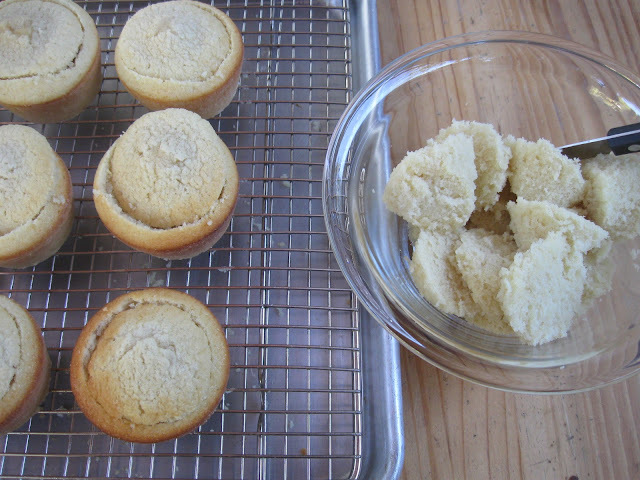 Cool in the pan about 5 minutes - then remove each cake from the pan and let cool completely on a wire rack. Cook the cream, corn syrup, chocolate and vanilla over medium heat - stirring constantly until smooth. 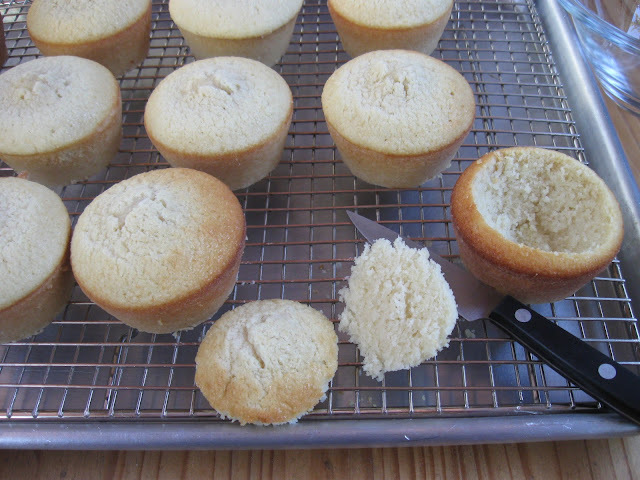 Fill each hollowed cake with pastry cream.